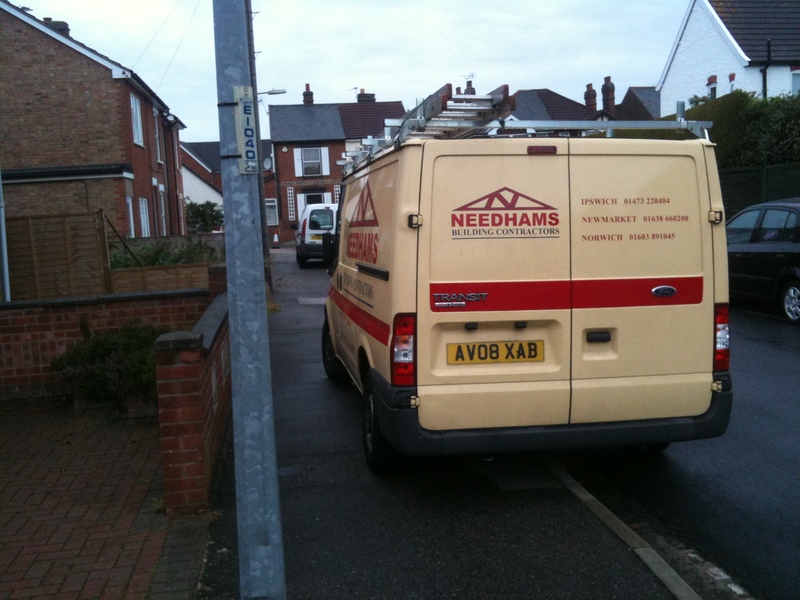 I have created a new category called ‘bad company‘ (as in ‘bad boy’) with examples of where businesses are being naughty, selfish, thoughtless or lazy in how they allow their company vehicles to be left on the pavement. 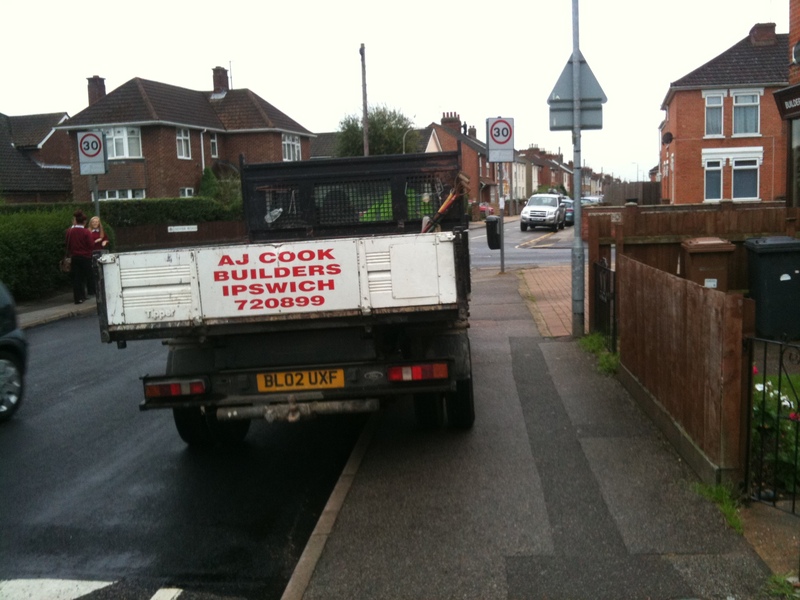 I am in no way commenting on their ability to do their trade, some of them are certainly pretty good at it – only on the way they present themselves in public by their choices of parking places. I suggest that they either clean up their act or take the branding off their vehicles! Here are a few examples taken down one short section of road at the start of a school day on the approach to a primary school. 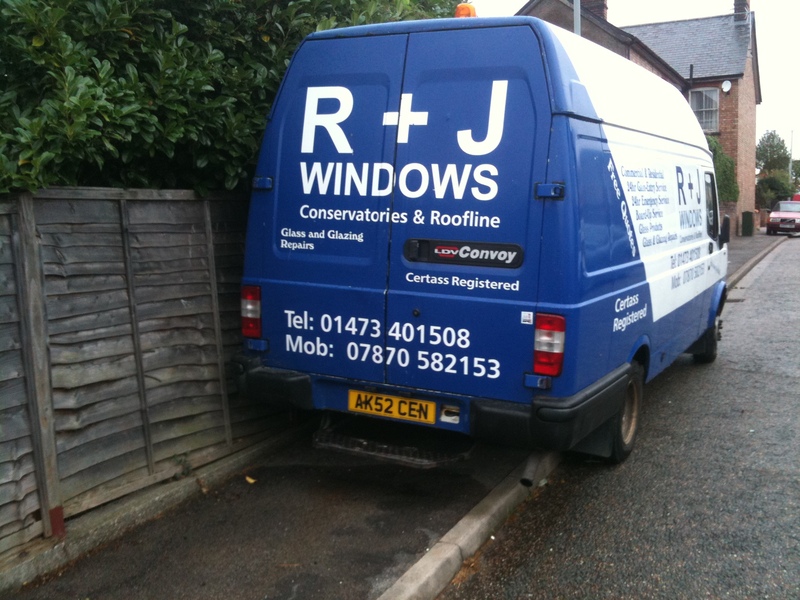 I notice that the same Specialised Fixings van features in our Rogues Gallery and that the R+J Windows van has parked in that position for at least a year. 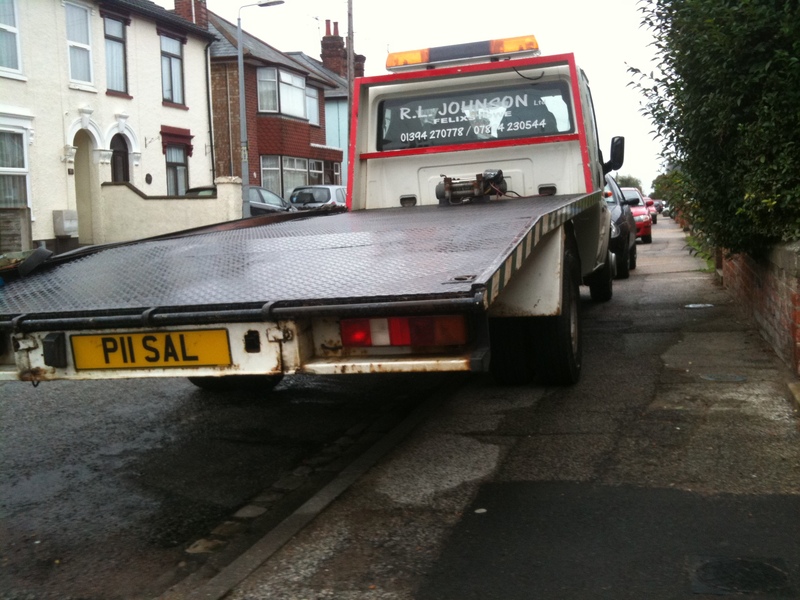 R.L Johnson repair cars, but is it necessary to making walking any less attractive? 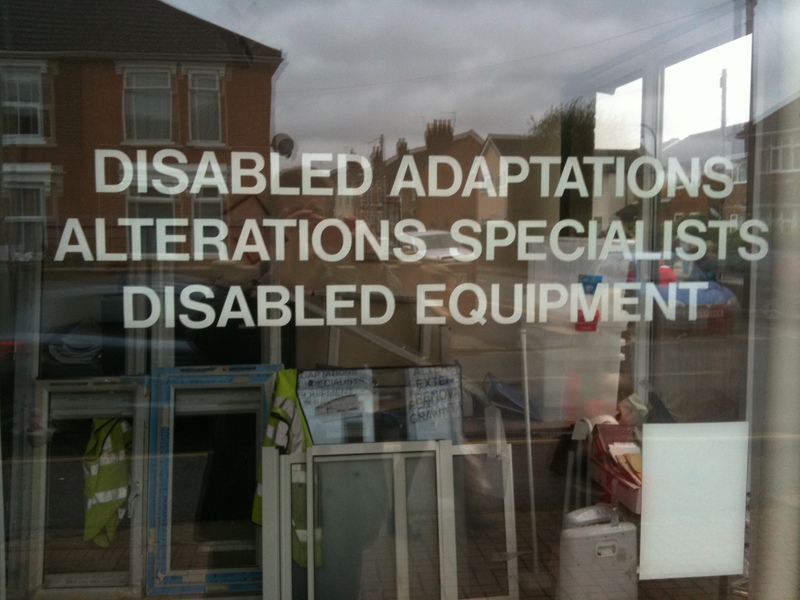 I smiled when I noticed that the A.J.Cook advertise that they ‘specialise in disabled adaptions and alterations’. 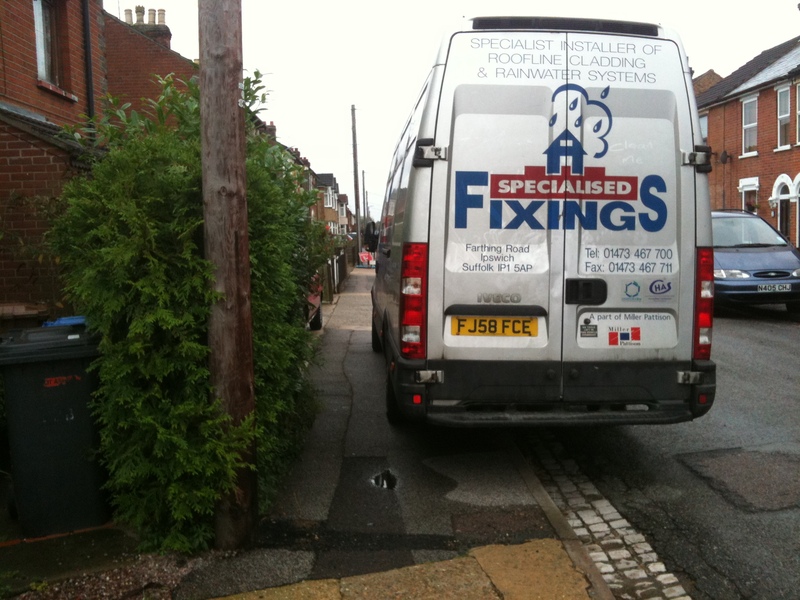 What, like making the pavement even narrower by parking a big truck on the pavement outside their offices?